Before you start trying desperate measures... give me a call. Often your ‘lost’ files may just be a few key strokes away and I can talk you back to recovery. 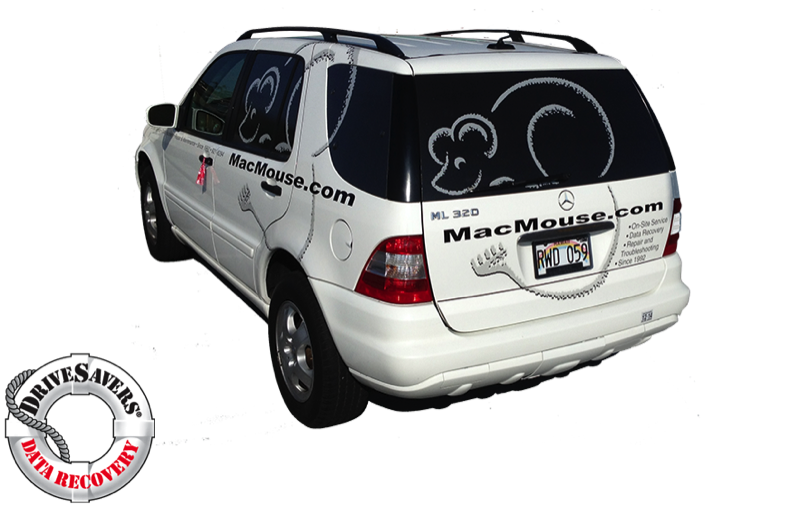 If the situation requires more serious diagnostics or repairs, I can come to your place for on-site service ~ or you can bring your MAChine to your MacMouse Clubhouse in Waikiki. There’s easy parking at the Honolulu Zoo parking lot across the street, or you can call ahead for curbside pick-up. Data recovery is one of the most satisfying services I perform for people. It makes us both happy!